We've all been there. You can't decide what you want to eat and, even more confusingly, you want two distinctly different things, whether it's sweet and salty, Chinese and, well, cheese. Chances are when you're in this state of indecision, you also want to make this mythically satisfying meal really, really fast. Well, I have good news for you. With food, unlike most other parts of life, you can have two completely different things at the same exact time. Read on for some great ideas that any level-one home cook can master. Maybe you're craving something salty and sweet that's also easy to make. 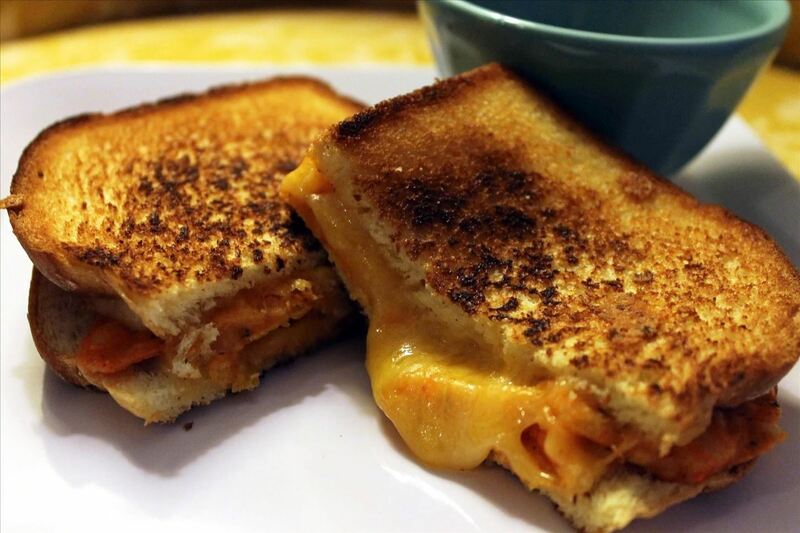 This sandwich is the perfect solution. 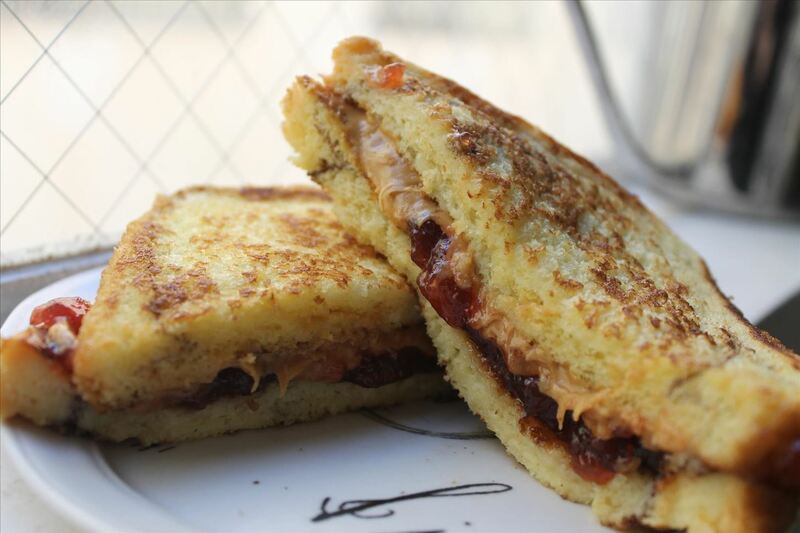 For this dish, you'll need frozen French toast, peanut butter, and jelly. Place two slices of frozen french toast in the microwave. Heat for two minutes and remove. Using a knife, spread peanut butter on one side of French toast and jelly on the other. Put your two pieces of French toast together and enjoy a delicious sandwich with extra special bread. If you want to go the extra mile, you can always make your own batch of perfect French toast and freeze some for future "hanger" emergencies, too. Uh-oh, it's one of those days when you can't choose between Italian or Mexican. Both cuisines sound amazing. It's time for the pizzaco. For this, you'll need: frozen individual size pizza, ground beef/turkey (Jennie-O makes great seasoned turkey for tacos), cheese, salsa, peppers, and hot sauce. I would recommend a pizza that has meat and veggie toppings for the best flavor experience, but pepperoni or plain cheese will also work just fine. Heat your pizza, following the directions on the package. When it's done, remove from oven or microwave and let it cool for two to three minutes. While your pizza is baking, set your stovetop to medium heat. Add ground meat to pan and cook for about 7–10 minutes. Remove from stove and let drain on a paper towel. Add the desired amount of ground meat to the middle of your pizza. Add additional toppings such as salsa, onions, peppers, and extra cheese. 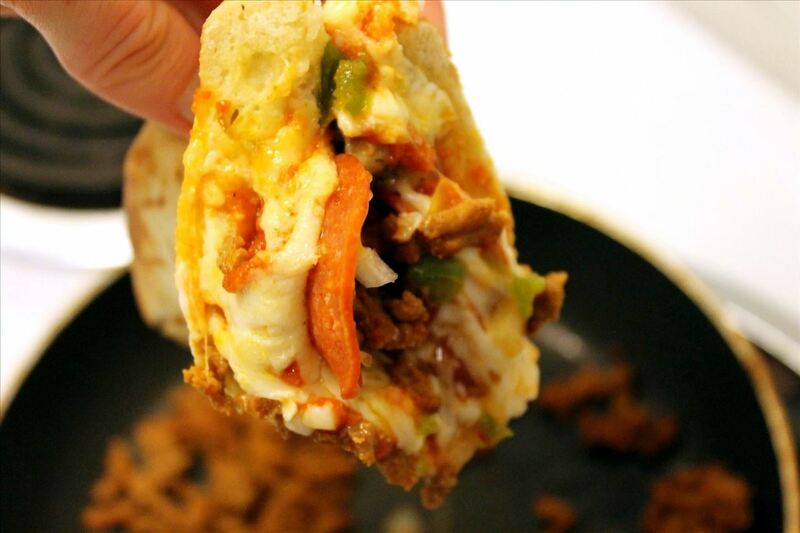 You can put anything else on your pizzaco that you would put on a taco! 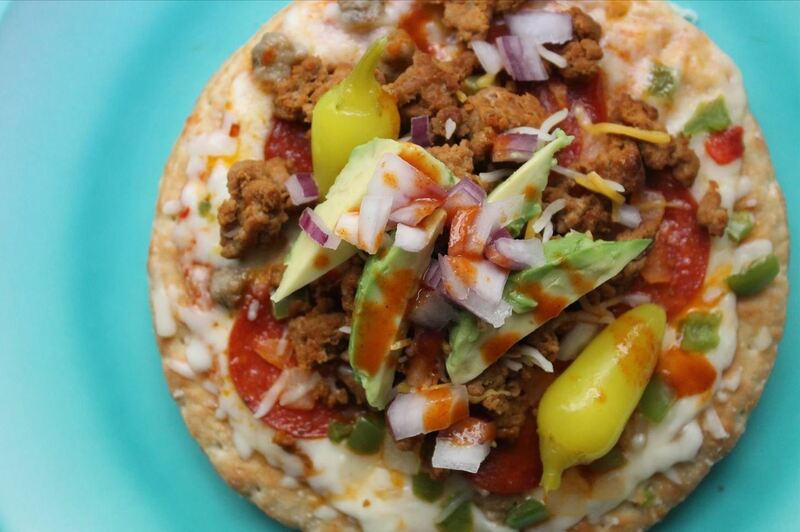 Once you have taco-fied your pizza, either slice it into quarters and eat open-face, or fold your pizza up like a taco shell—you are ready to enjoy this 2-in-1 delight. This is not a joke. 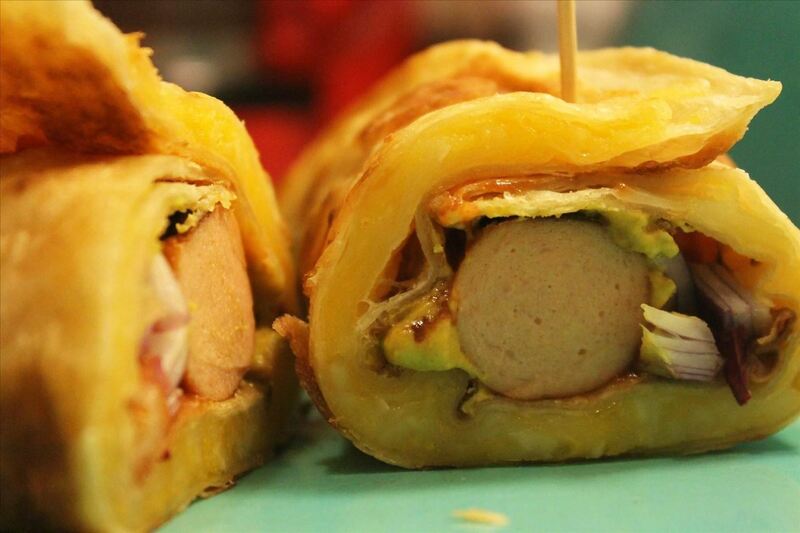 In fact, subbing a quesadilla for a hot dog bun may be one of the greatest moments in food history. I'm sure you would impress someone with this special combination! For this, you'll need tortillas, butter, cheese, a hot dog, and whatever condiments you like (onions, relish, ketchup, mustard, etc.). Make your quesadilla: heat a pan over low-medium heat, add butter and melt. Place tortilla in pan, layer cheese, and top with a second tortilla. Set for 4 minutes, then flip and set for another 4 minutes. Remove from pan. Either boil or pan-fry your dog while your quesadilla is heating up. 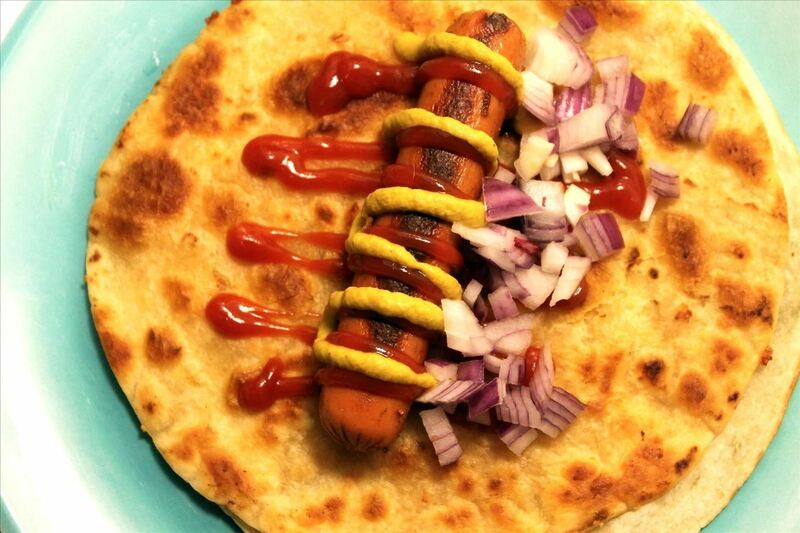 Place your quesadilla on a plate, then set your hot dog in the middle. Add your condiments, fold, and enjoy! 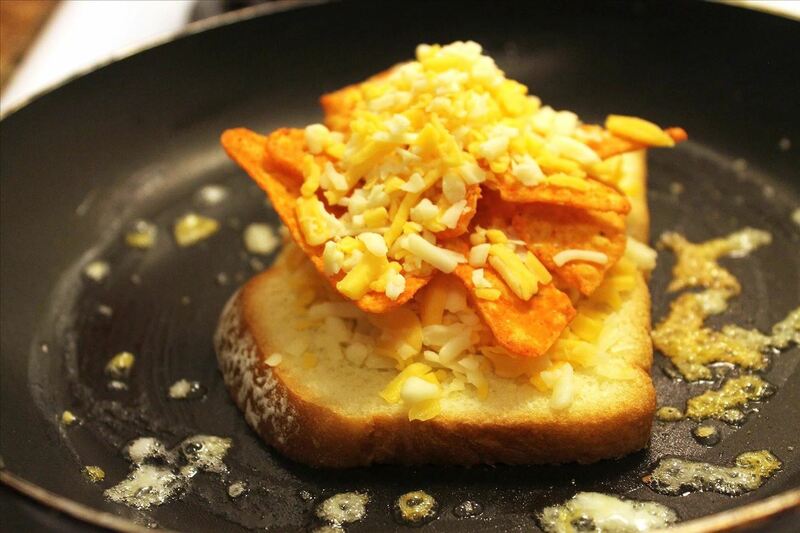 For this culinary hybrid, you'll need two slices of bread, butter, cheese, and tortilla chips (nacho cheese Doritos are a fun choice). Assemble your grilled cheese: set the stovetop to low-medium heat, place a pan on the burner, and add a pat of butter. Once the butter has melted, place one piece of bread in the pan. Add cheese, chips, and more cheese. Let heat for three minutes. Top with a second slice of bread, then flip and heat for another three minutes. This is technically a dessert, but who says you can't have dessert as a meal? (At least occasionally.) You will need a waffle maker for this one. For this combo, you'll need one box of brownie mix, eggs, water, oil, cooking spray, and whatever garnishes you like (nuts, whipped cream, chocolate sauce, etc.). Turn on your waffle iron and let it heat up for a few minutes. Prep it by spraying on some cooking spray so the brownies won't stick. 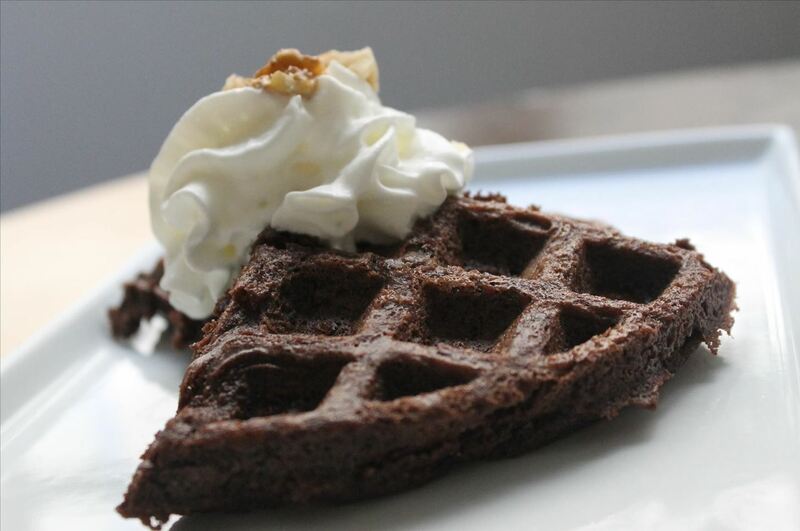 Place your brownie waffles on a plate and add toppings such as whipped cream and chopped nuts. Yum! What's your favorite way to combine two different foods?